There are few rites of passage as exciting as taking a child on his or her first camping trip. 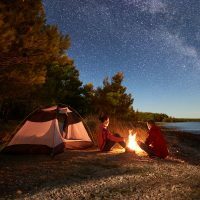 Families bond while roasting hot dogs and marshmallows, making shadow animals on tent walls, chasing after fireflies and inhaling fragrant whiffs of pine. 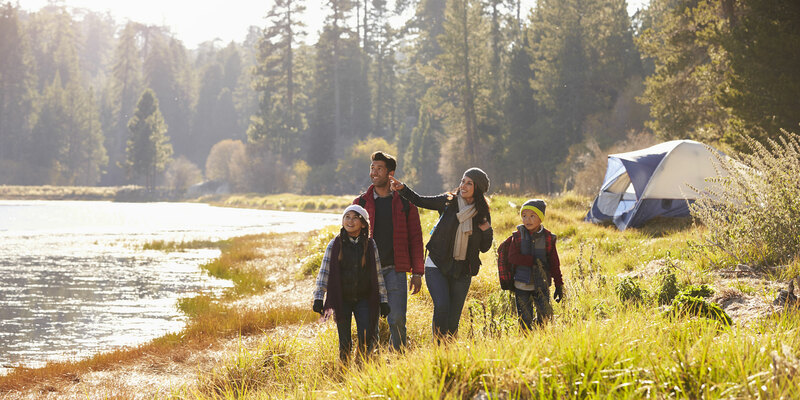 Whether you are an experienced camper from pre-kid days or first-time campers looking to save money, it’s wise to be prepared for this important adventure. RV and Camping Shows At RV and camping shows, you can see trailers, RVs and the latest technology that makes even setting up a tent quick and easy. The days of pounding stakes into the ground are long gone, believe it or not! Outdoor Recreation Retailers Both L.L. Bean and REI offer classes on camping and related topics, such as wilderness First Aid and paddling, at their popular outdoor schools. Bass Pro Shops also offer seasonal camping seminars. State Parks Some departments of natural resources, such as those in Minnesota and Texas, offer one- or two-night how-to-camp weekends with equipment provided. The experience gives you a taste of camping before you invest in gear. When you’re ready to go camping, do a practice overnight in your backyard. You can test gear, troubleshoot any snags or figure out if anything essential is missing — like functioning batteries for flashlights, bug spray or tent poles. It will also allow you to see whether you’ll be comfortable and warm enough and if younger children can go to sleep with different surroundings and nocturnal noises. Join families across the country who participate in National Wildlife Foundation’s Great American Campout each June — it’s a great way to kick off the outdoors season. You can find campgrounds just about anywhere: city or county parks, state parks, KOA campsites or private campgrounds. 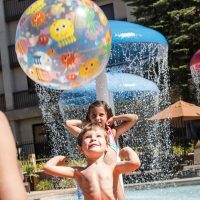 Private campgrounds often have scheduled activities, playgrounds, volleyball pits, beaches or pools, much like a regular resort. You can also find cabin resorts that have spots set aside for campers; these are ideal for families who want a more social, active environment. Additionally, look for state or national park campgrounds near amphitheaters or visitor centers that have daily scavenger hunts, geocaching and ranger talks. If you prefer a quieter, less-crowded and pristine setting, check into lesser-known state and national forest campgrounds or those run by the Army Corps of Engineers. Most are easily found online. Look for shaded campsites that will keep temperatures cooler in your tent and offer some privacy. Check on pet policies, too, if the family dog will be traveling along. If you’re registering at national parks — especially hugely popular ones such as Yellowstone — you’ll need to know the length and width of your tent or camper, as well as your vehicle. A mini-van and five-person tent can exceed some of the older campsite limits. Modern. Hot showers and flush toilets, plus electrical outlets and water/sewer services for trailers and RVs. Semi-Modern. Usually means flush toilets and electricity or showers. Rustic. Only the basics, such as a picnic table, fire pit, flat spot for a tent, faucets or hand pumps for water, and pit toilets (outhouses). Many forestry sites fall into the rustic category. If you’re heading to a well-known outdoor recreation area with dependable outfitters, you can often find equipment to rent. If not, you’ll need at least a good tent and sleeping gear. When buying tents, look for ease of assembly and make sure you have enough floor space for all the kids and a bag or two of clothing. Handy extras include inside pockets for eyeglasses and flashlights and a rope clip hanger on the ceiling for hanging a battery-operated lantern. You’ll also want to pack a tarp for below the tent. If the weather’s warm, you can get by with standard sleeping bags or air mattresses with sheets and blankets. If you’re heading to higher elevations where temperatures drop significantly at night, it’s worth investing in better-insulated, higher-tech sleeping bags that keep you extra warm and dry out quickly if they get wet. Sleeping mats can add comfort and insulation if you’re camping in a tent; the nicest mats self inflate. If you have the cargo space, fold-up cots can keep you off the ground and let you tuck gear underneath. If you’re on a tight family vacation budget, but not ready to try tent camping, a good alternative or middle ground can be camper cabins. Often found at state parks, camper cabins give you the sturdiness of a roof over your head and basic bunks for sleeping. Some cabins have electricity and heat or wood-fired stoves, plus picnic tables, outdoor fire pits and occasionally a screened-in porch; you bring everything else. Camper cabins tend to fill up quickly, so make reservations early for peak weekends. State parks in Washington and North Dakota are among those that rent both rustic cabins and yurts. Inspired by Mongolian tents, yurts are domed canvas dwellings with basic comforts such as bunks, heat, and extras like skylights; they are generally in the same price range. If you require creature comforts, but the kids are clamoring for the outdoor experience, there’s always glamping. This high-end experience usually includes spacious canvas tents with five-star comforts, such as real beds, luxury linens and private baths. But you’ll still get the stellar scenery of remote locations. Montana leads this trend with several luxury glamping options, including Bar W Guest Ranch and The Resort at Paws Up, the latter of which provides a butler to take care of meals and cooking. 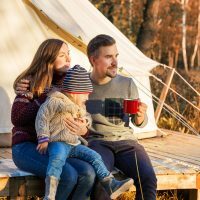 This option can obliterate the budget-friendly allure of traditional camping with rates often the same as hotels or higher depending on services and amenities. Another alternative to tent camping is renting a pop-up trailer (you need a vehicle with a hitch) or a recreational vehicle from places such as Cruise America. RVs in particular can make sleeping in the outdoors downright homey — if not luxurious. Of course, that’s assuming your budget can stretch that far. Be sure to ask about gas mileage and budget your expenses accordingly. RVs and trailers are both tricky to navigate on narrow, winding or steep scenic drives. It’s best to set up a home base with your RV or trailer first, and then use a car or van for exploring scenic areas. RVs and trailers can be a top choice for families wanting extra comforts — especially in destinations where unexpected snow or storms can make tent camping challenging. In addition to a tent and sleeping bags, it’s helpful to have a cooler, collapsible water container and a portable cook stove. Carry other necessities, such as inexpensive plastic plates, cups, lightweight utensils, towels, roasting forks, plastic bags, a portable clothesline, outdoor tablecloth and flashlights in a sturdy plastic container or other handy storage bin. Be sure to take along at least two pairs of shoes, including a pair that can get wet and a pair that’s easy to slip on and off for going in and out of a tent or trailer at night. Most ready-to-go First Aid kits are handy and affordable. Add extras that kids might need: earplugs if they have ear tubes; hydrocortisone cream for bug bites; kids’ acetaminophen (chewable or liquid); pediatric antihistamines for allergies or stings; and aloe or anesthetic (such as Lidocaine) cream or gel for sunburn or minor burn relief. Know where the closest clinic or hospital is in case of a more serious injury or ask campground staff what phone number to call for after-hours emergency help. Pack plenty of diapers if you have infants, as well as emergency and nighttime pull-ups for toddlers and preschoolers. Most campgrounds have flush toilets, but since you’re likely to be outdoors all day, improvising may be needed. Take along extra toilet paper for emergencies or bathrooms that may be out, along with hand sanitizer and moistened wipes. Because campfire or outdoor cooking is so much of the camping experience, be sure to let kids get involved in planning the menu. Let them pick out special snacks such as applesauce squeeze tubes or energy bars. Mix up your own custom trail mix, and stock your “chuck box” (your portable kitchen and pantry) with simple one-pot meals and hot breakfasts like oatmeal for fiber or eggs for good protein. Pack no-cook ingredients such as peanut butter and jelly sandwich fixings for days of travel or backpack picnics. Supplement with cheese sticks, sturdy veggies like baby carrots and snap peas, lunchbox-sized apples or fruit leather. Have an end-of-the-day contest for the most creative campfire treats, such as roasted marshmallows sandwiched with bananas, chocolate-covered caramels and chocolate graham crackers. Take along a handful of easy-to-pack things to do, such as a ball or Frisbee for playing catch, buckets and shovels for building sand castles on beaches, a notebook and colored pencils for starting a nature journal, or mason jars for collecting bugs to study and release. Most days will likely be filled with hiking, swimming and sightseeing, followed by watching the sunset or moonrise and connecting stars into constellations at night. Two great investments: plastic playing cards that can survive rain and morning dew and headlamps that allow kids (and parents) to see where they’re going at night. If they don’t stay on your head, flashlights work just as well, hanging loosely around your neck with the light pointed forward.